I am so excited to share this with you! A couple of weeks ago, the lovely people at Simply Be contacted me to ask if I would like to be involved in their #SimplyBeReal campaign, reflecting the fact that fashion doesn't always go to plan. Rather than moping in our embarrassment, the campaign is a way to use those real moments as a funny anecdote to share with others and Simply Be have teamed up with a number of talented illustrators to depict these moments. Straight away, I knew the moment that I wanted to share because it is still something that makes me laugh whenever I think about it. 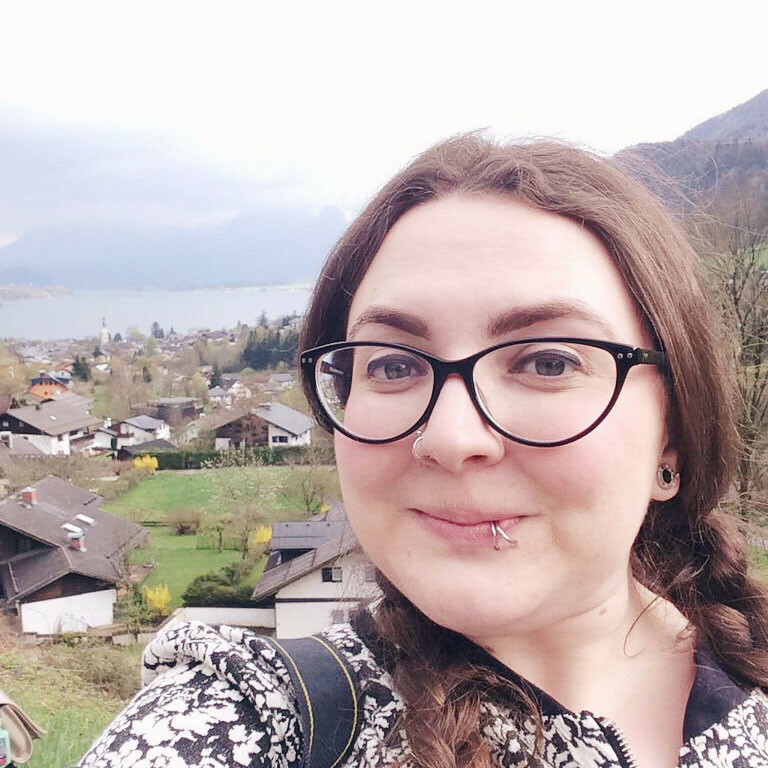 As you may know, I am a primary school teacher and I work very hard to develop a supportive environment in my classroom where every member- children and staff- are almost part of a family unit. We are loyal to every member of the class but also share jokes and tease each other. One day, when I was wearing an outfit much like this one, I was working with a group on a reading activity. Most of the class were quietly reading while I listened to my group read The Enormous Crocodile. I was encouraging the children to think of words to describe the crocodile and gave them an example: "Big, fat tummy!" From across the classroom, the most mischievous of my boys shouted "Miss! Are you talking about yourself?" After that, "chubby" became a class injoke, and when the children left my class in July, I even got cards thanking me for "being a lovely chubby teacher"! After sharing my real moment, Simply Be told me that they were asking Anke Weckman to illustrate it as she has a childlike quality to her drawings. I checked out her website, loved her style and couldn't wait to see the illustration. However, nothing prepared me for the most adorable illustration that was sent over. Are you ready? 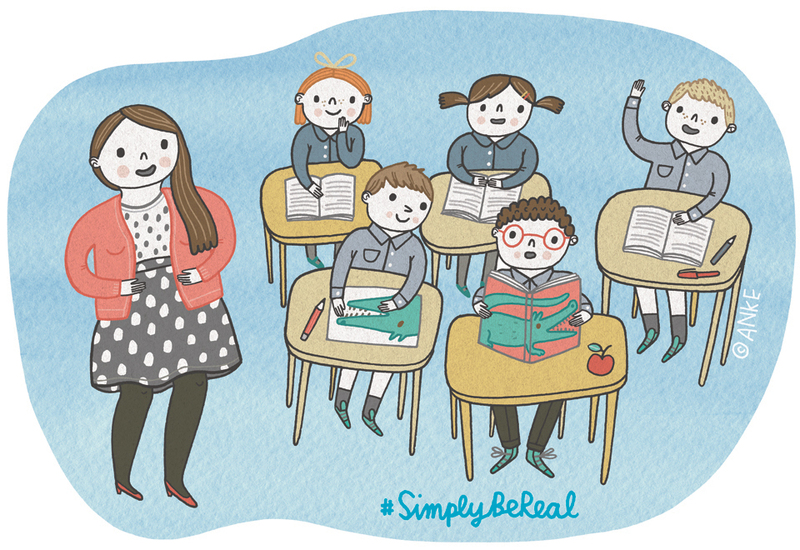 I'd love to hear all about your real moment, and don't forget to use the #SimplyBeReal hashtag to share it on social media! I wrote this post in collaboration with Simply Be in exchange for the personalised illustration. That's lovely! Are you going to put it up in your class room? I LOVE that picture! Your kids are nicer than mine though - I got told I looked like a witch! Awww, thats such a lovely thing to do! What are you going to do with your personalised illustration? I think it deserves framing! That quite an amazing illustration! I love the crocodile details. One of my pupils (secondary, so less of an excuse than primary!) once asked me if I was pregnant, "cos your belly looks pretty big in that dress, miss". Suffice to say I didn't wear that outfit again in a hurry! Aren't kids funny! They just don't care haha and I love that they can joke about things without meaning to be nasty...it's just their way! That's a super cute illustration, I agree with the above comment...definitely deserves to be framed!